Today, Gearbox announced that its long suffering multiplayer shooter Battleborn will be going free to play. Sort of. 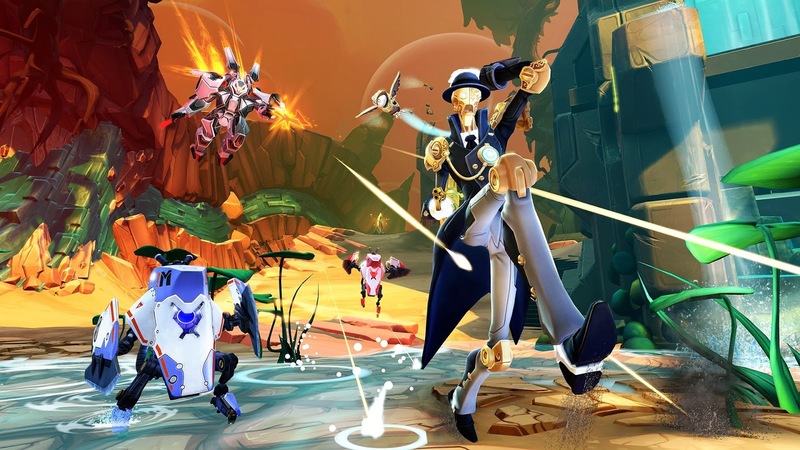 Battleborn will be available as what the studio is calling a free trial, and still offering the game at regular price through steam and retailers. 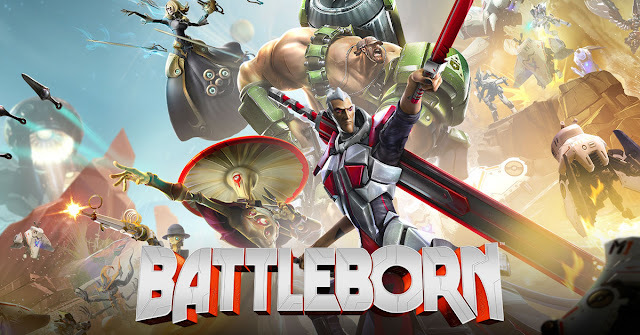 I understand that Gearbox is still trying to milk Battleborn for all that it is worth, hoping that with enough time, support and exposure that the game will start to pick up. This latest attempt to liven up the player base has come so excruciatingly close to getting it right, but it misses a vital opportunity. There can be no halfsies when it comes time to make the move to a Free to Play model, and the longer Gearbox waffles on this matter, the more alien their game will become. The free trial of Battleborn lays a lot of good groundwork; It offers players no level cap or time limit, and allows players to have access to all of the heroes (or is it "badasses?" Are we still determined to make that work?) though they are offered only six at a time on a rotating schedule. Luckily, any progress made with the heroes abilities is permanent, meaning no progress is lost when a hero moves out of the rotation for a few weeks. The individual heroes, story missions, story operations and other bits included originally as DLC can be purchased ala carte with currency earned in game or with a premium Platinum currency. Players have access to all of the multiplayer modes, including the new Supercharge mode coming later this month. However, Gearbox still offers the full game for purchase as well as the season pass and seems to think that through offering these bits of the game piecemeal that they can convince players to spring for the full game. I don't see this happening, especially when you consider that the season pass is still offered as a separate piece of content from the "full game." At this point, with as disjointed as the game has become, it would behoove Gearbox to roll the season pass into the standard purchase of the game, excuse me, the "upgrade" package from the free trial. Most people look at this offering and see a game that wants to be free to play, and by any reasonable standard is, but that little bit of push still coming from Gearbox to go with the upgrade smacks of a lack of confidence in their own title, which could turn more potential players away. When you consider that many players feel the skill gap between them and the more experienced players (exacerbated by long time player's access to more legendary gear precisely tuned loadouts), anything that hurts the chances of getting new blood into the game could finally spell the end of Battleborn. To encourage new players, there is a new matchmaking feature that puts new players in their own play list until they surpass rank 20. this is meant to give new players time to adjust to the heroes and find their favorite play style, but once it spits you out at Rank 20, there is nothing keeping you from landing in a game against a full team of rank 100 players, a far more common problem than one might expect. Finally, players who have owned Battleborn since before the free trial get a bunch of loot as a thank you from the developers included in all of them is a 1.8 per second shard generator with a 0 activation cost. So all those new players, despite their new sequestered play list, will have to deal with those same players. Granted, 1.8 shards per second isn't a whole lot given the length of each multiplayer game, but the 0 activation cost puts it up there as a real contender for all around booster loadouts. Who doesn't want free money? No one. Who doesn't get free money? Every new player. Let's review; Players get all the Battleborn they want to play, for free and buy whatever individual parts of the game they want for credits earned in game. There is no activity cap, level cap or time limit on play in the free trial. New players get their own playlist for a while until they are used to the game and the heroes, at which point they are flung violently into the fray with a bunch of players who all have access to an item that gives them money for the whole match and does not cost them a single coin. All of this, and Gearbox still expects people to look at this content and want to purchase an upgrade that doesn't add anything they can't get individually. I don't see this going far, but it isn't too late. I Gearbox fully commits to the Free to Play model, do away with the season pass and roll it into a single upgrade package or even get rid of the upgrade package entirely, offering every piece of the game ala carte, I think they could see some surprising success.